Picked up a few pepper plants the other day to give them a test run here. 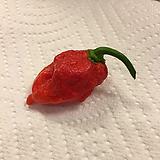 Got a ghost pepper, habanero pepper, Trinidad scorpion pepper, hatch pepper, and jalapeno pepper. The hatch already had about 5 peppers on it. Sweet! I need another Trinidad. Mine dies last winter..
Hat's off to HEB for getting some good plants in this year. The hatch plant I bought came loaded down already. I'd like to find a Scorpion plant, been keeping my eyes open for one or two..
Also, the Ghost and Reaper HEB plants I got are also both actively growing pods right now. Pretty nice to see that, again, for $10 each. Ill be heading over there after work today. HEB is the compared to Kroger or Randals. They don't have gas points though. Who cares you have an electric vehicle. The car doesn't tow the toy hauler though. I drove the truck this weekend, 600 miles with no fill up. I give it another 20 years before low scale electric towing becomes viable. I still burn through ~70 gallons of diesel a month with the car vs 170-200 gallons before I bought it. How many peppers will each of these HEB plants bear while they're young? It depends. Mine don't like 90-100 degree weather. They will drop the blooms, but when it cools off to high 80's to low 90's they really take off. Between my reaper and habanero I had 2 1 gallon zip lock full. I recently read that some pepper growers started putting up shade nets over their plants during the heat of the summer. Something about the temperature at the root system being too hot will slow down or even stall growth/production. So they still get sunlight, but not direct sunlight all day long. Also, leaving some leaves at the base of the plant, rather than pruning them can be a good thing to keep shade on the soil during the day. Got 3 bottles of this on pre-order... Co-worker got some and it's delicious. 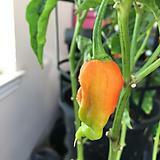 Nice, while I don’t have a serious pepper game like y’all, my garden is producing very well so far. My wife likes to used "spiraled zucchini" in place of pasta noodles for her new diet. Actually not bad at all.